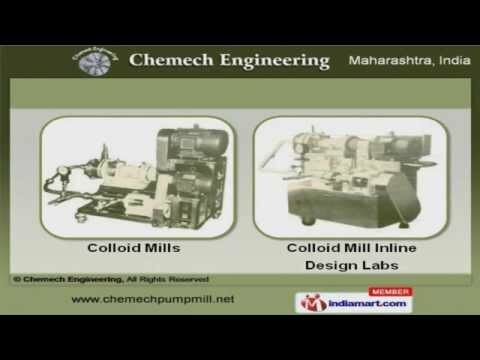 Welcome to Chemech Engineering Manufacturer & Exporter of Pumps, Pumping Equipments & Industrial Processing Machines The company was established in 1970, at Mumbai. Experienced R&D department & sophisticated manufacturing unit help us to cater Indian Subcontinent & Middle East. Customized solutions, large production capacity & Competitive prices make us the first choice of our clients. We offer a splendid range of Pumps, Processing Machine & Pumping Equipments. Industrial Transfer & Feeder Hopper Pumps are available under Pumps & Pumping Equipments. Container & Vertical Sump Pumps offered by us are best in the industry amongst others. Our Transfer & Positive Displacement Screw Pumps are highly efficient. We also provide Processing Machine & Equipments that are superior in performance. Along with that we offer Colloid Mill Inline Design Labs that are a class apart.